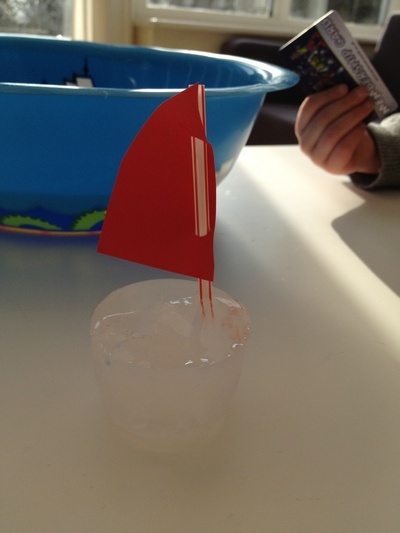 Ice cubes float on water because they are lighter. 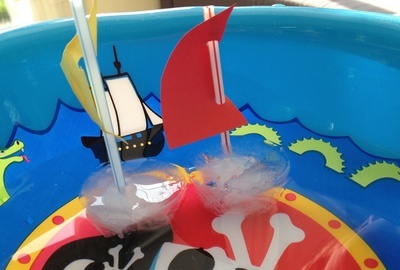 These little boats might not last long in a hot day but they will keep a preschooler occupied for longer than you might imagine. 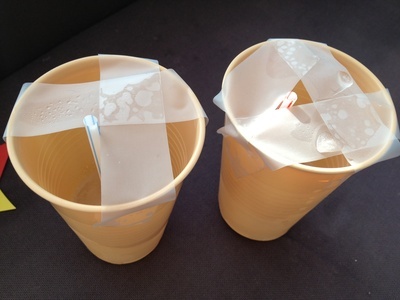 Place sticky tape across the top of a plastic cup so that it will support a straw standing up. Part fill the cup with water and add a straw. Place in the freezer until the water has turned to ice. Gently ease out the ice with the straw frozen in from the cup. 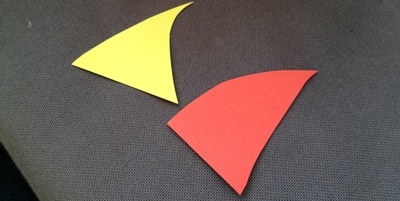 Cut a sail shape from coloured paper. Punch two holes and thread through the straw. 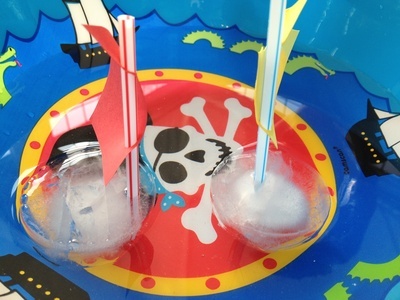 Fill a bowl with water to float your boats in and let the fun times begin.